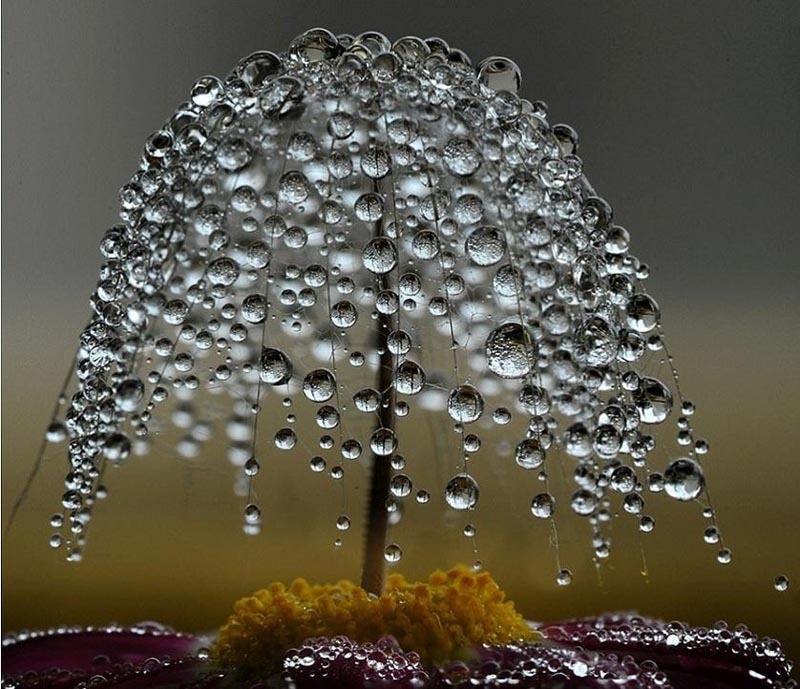 This stunning macro photograph shows dewdrops gathering on what appears to be a flower pistil. The idea that an all perfect and infinite divine being could take on imperfect and finite flesh, that is to become incarnate, is at the heart of the Christmas message. Leave aside expectations of perfection and allow yourself to find joy in smelly stables. Challenge yourself to be gracious with the byproducts of overworked and under resourced inn keepers. Do not stop at simply adoring and gifting the children in your lives, but challenge them to grow into true gifts to the world, transforming it to be more just, more peaceful, and more compassionate. May we all grow more patient and kind in our gift of love. Merry Christmas from Ellen and Grow a Generation.